Do you see reccurring numbers everywhere, like 11:11 or 333? Do you wonder at the meaning? There’s a ton of information available, much it banking on our search for deeper meaning in life. Before the internet, before Doreen Virtue, before Solara An-Ra created the 11:11 series in 1992, announcing we were ascending to the next soul level, there was Carl Jung. He believed in synchronicity, in messages from the universe, because he felt we were all part of a great pattern. He saw the divine in everything and was endlessly awed by the symbols the world guided us with. But Carl Jung didn’t invent synchronicity, the universe did. As humans, we are hardwired to notice patterns. Historically, we evolved by looking to signs from the wind and clouds to predict the weather. We charted the stars and the sun to know our selves and our seasons. We depended on observable information. This is the basis of omens, auguries and why such great monuments to the sun and stars were built like Stonehenge, and New Grange. At the very heart of it is pattern, and our ability to observe. Whether it’s the sun rising at a certain angle each solstice, or the way birds fly overhead fortelling the coming of winter, we have observed repeating patterns to live and worship by. 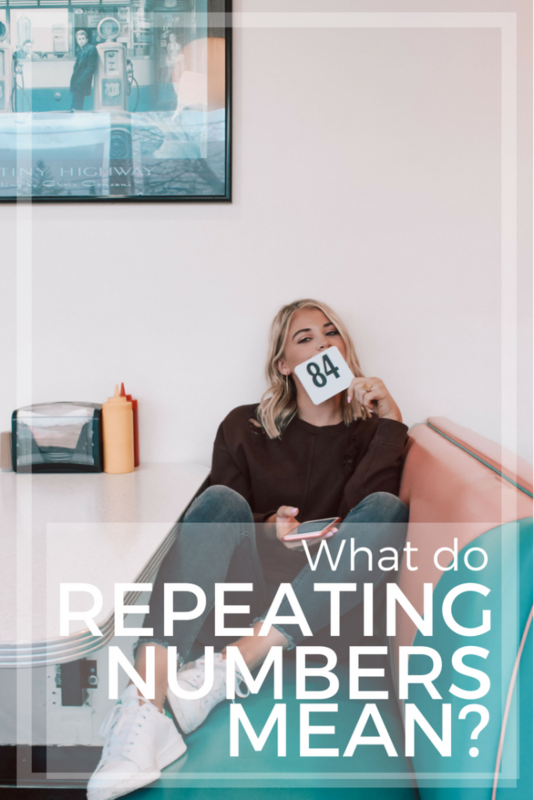 Recurring numbers are nothing new, but they do mean something. Anyone can divine their meaning, because we’re all human with the gift of seeing and knowing. Even if we’re just awakening to our extra sensory awareness, spotting repeating numbers is usually one of the first things noticed as our awareness grows beyond every day survival. If you are interested in spiritual growth, sharp observation is going to be a key skill. Noticing patterns just means you’re waking up. Carl Jung was awake. He knew we all swim in the same magical energy soup that makes the universe. It is part of us and we are part of it and we share the same atoms as the stars. It’s this connection that supplies the magic for recurring numbers. When our awareness rises beyond survival and what’s on our phones, we become aware of a greater dance. As we do, jus like in quantum physics, the greater dance becomes aware of us and signals hello with repeating numbers, synchronicity and other divine messages. All we have to do is be awake. We’re always connected and we’re never alone and we’re always loved by the universe. But we get bogged down by our day to day lives and forget to look up once in a while. Next time you see recurring numbers – celebrate! Know that repeating numbers are a message and confirmation of your growing awareness and to keep paying attention. No need to rush off to Google for the answer, because you already have it – it’s your beautiful soul glowing brighter, and another step on the spiritual path. Explore that feeling for a few seconds. This is the language of Spirit. Connecting back to a wider perception ad understanding of who you really are as a person, as a soul, as a integral part of the universe. Because that’s what recurring numbers really mean: that you’re paying attention. Pay attention. Even now, pull your nose out of your iPhone. As I’m recording this blog post, I’m out walking. Walking is how I write and it’s when inspiration strikes hottest. I wasn’t paying attention just now and nearly ran into a cyclist because my own nose was in my iPhone.That was a message for me to notice my surroundings. If you hunger for something deeper, wider, more connected, turn your wise soul energy inward. Turn that beautiful, valuable energy inwards to connect with your soul, and your intuition first. Use your gut, and your faith, and your feet to stay grounded to the earth and the huge source of psychic energy awaiting there. Draw that up with your next breath and allow the answer to arrive. Better than google, better than an oracle card, is your own wisdom. If you still feel like you’d like more, discover your psychic strength with the quiz below. We all have different gifts, from clairvoyance, which is the ability to see the unseen, to claircognizance, which is when you just KNOW something and you don’t know how you know it. Do the psychic strength quiz to find out how your psychic gifts work and download the eleven page booklet to help you get even better intuitive messages. This was really powerful to me, thank you. I have been having the synchronicity of seeing the number 22 lately. It has been every where in time, mileage, pages, posts…all sorts of places. While reading your blog it happened again and because of your advice, I brought my awareness to to the present moment. While reading, my cat approached me and wanted to cuddle. I looked at her and told her I am just not cuddly (right now). I also glanced at the time, it was 7:22. The topic of me not being very cuddly has been coming up much lately. Delving further, the number 22 is my birth date. My awareness when I saw the 22 in 7:22 brought the insight that since my birth date is 22, it’s time to re-create myself and perhaps re-create the cuddly side of me too. Blessings! What a cool realisation – hope that is the start of many more. 22 is such a powerful number. I have seen and am still seeing 1111, 333, & 555 daily for many months now. 333 is fairly recent. I am the one that will Google spiritual meanings. I also look at my surroundings and am very observant. Love this article. Yay Crystal – let us know how you go if you start noticing other things. I’m waking up at 41 mins past the hour every night look at my phone it’s 12.41 ,1.41 ,2.41 Etc right until I wake up for work I’m tossing and turning but always wake up look at the clock it’s always some time with 41mins past what could this mean ? Could mean a lot of things… did the info in the blog help you? Hi Denise – I inadvertently took your quiz twice. This first time my results revealed that I was a seeker. The second time? A Sensor. I feel as if the sensor resonates with me so much more. I too have seen/experienced synchronicities lately….especially 555. Any thoughts? By the way, I think you are beautiful. As an older woman who is just realizing my own potential, its nice to have sisters like you encouraging and lighting our path. Hey Jackie! We are never too old, right? 6 reasons to get a psychic reading and one good reason when not to. Let’s get the clairvoyant eye on what’s working so you can keep doing it! Not all of us are cut out for meditation, yet we still want to use our intuition in the best way. If everything else seems more important, or there’s just no time, I have a list of 50 ways to raise your vibration fast.